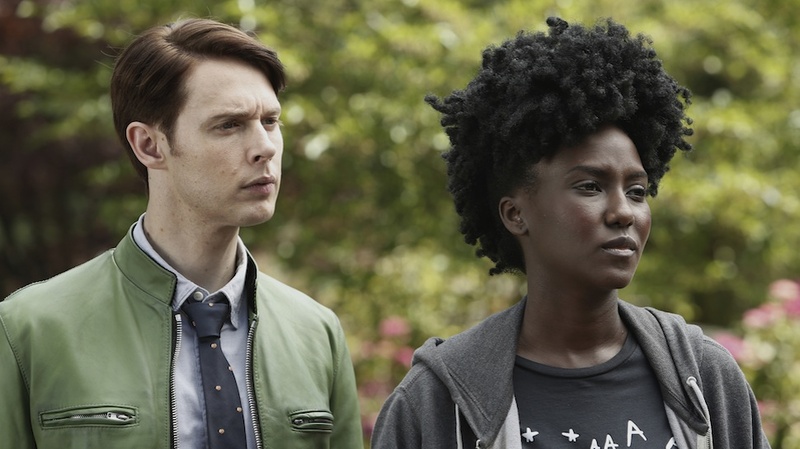 Being a long-time Douglas Adams fan (as you all should be), I was excited to see a TV adaptation of his novel Dirk Gently’s Holistic Detective Agency appear on Netflix and started watching almost immediately. It didn’t blow me away out of the gate, though. It was a strange, confusing show that didn’t seem to have much to do with the Dirk Gently story I know. I almost gave up on the show after the first two episodes, but something about it stuck with me, and I decided to give it another shot. This turned out to be a good call. 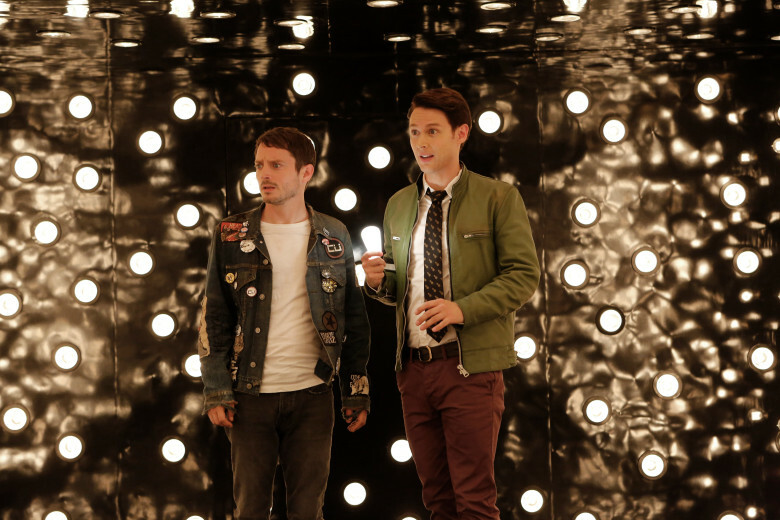 Dirk Gently’s Holistic Detective Agency is a very, very strange show. Far stranger than I have the ability to adequately communicate through a mere blog post, and almost certainly the strangest television show I’ve ever seen. So much has been changed that the show is now a totally different genre. While the book was a lighthearted comedy, the show is definitely a drama, and a surprisingly dark and sometimes gory one at that. It’s not without occasional moments of levity, but it’s definitely more serious than silly. Still, I’ve never been much of a purist. 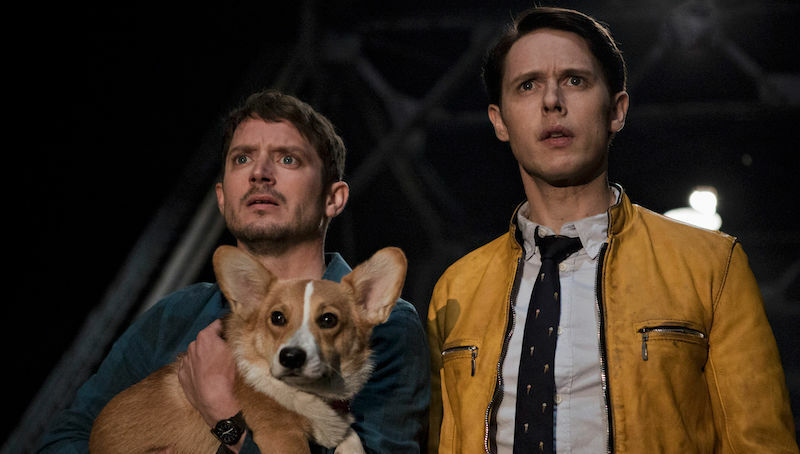 I generally try to judge each incarnation of a story on its own merits, and while the TV Dirk Gently is a radical departure from its source material, it manages to be pretty interesting in its own strange way. And it is strange. I can’t overstate that. This show is just so weird. I don’t know if I could even attempt to summarize the plot, but it involves a kitten, a shark, time travel, anarchist energy vampires, and an heiress/corgi. Alison Thornton plays dog very well. She’s very convincing as a corgi. Early on, I was turned off by the show’s surprisingly gritty tone, by how different it was from the books, and how unrelentingly strange it was. However, over time, it began to grow on me. There are a few reasons for this. The main cast members are all pretty likable and managed to feel pretty convincing as real people despite the oddness of the situations they find themselves in. Dirk is pretty bizarre, but that’s the point, and he’s entertaining. Dirk is obviously the main character, but much of the story is told from the perspective of Todd, his hapless “assistant,” played by Elijah Wood of Lord of the Rings fame. Rounding out the core protagonists are Farah, a highly competent but not entirely confident bodyguard, and Amanda, Todd’s punk rocker sister, who suffers from a severe mental illness involving frequent and painful hallucinations. There’s also a side plot following a strange woman named Bart, a holistic assassin who utilizes a method similar to Dirk’s (IE just wandering around doing random things for no reason) but with a lot more murdering. What really started to hook me in, though, was the realization that the show does share one important quality with its source material. As popular as he is, I don’t think Douglas Adams gets enough credit. His books aren’t just fun; they’re brilliant. When you start to analyze his books, you realize there’s an incredible depth and complexity to many of them. Douglas Adams books always began with numerous bizarre, seemingly unrelated plot threads. It would seem like he was just rambling without purpose. Then, slowly, all the threads would begin to come together, and gradually you would realize that it was all connected, that he had a grand plan behind everything. What began as chaos became a symphony. The Dirk Gently TV series has that same quality. At first, it seems like nothing but an incomprehensible spray of random, nonsensical events. Over the course of the season, you will begin to see the connections form, to see events align, and eventually every question will be answered, every loose thread tied together into a grand and beautiful whole. As a writer, it leaves me awestruck. I could never write something like this. There are still things that bother me about the show. The biggest is that I really dislike the attempt to give something approaching a rational explanation to Dirk’s abilities — the mystery is his whole charm — and the very cliche plots that spring from this explanation. Still, a show that I initially met with profound skepticism has won me over. I got more into the series with every episode, the season finale was spectacular, and I’m looking forward to season two. Also, “Two Sane Guys Doing Normal Things” is going down as one of my all-time favourite TV episode titles. This entry was posted in Reviews and tagged Dirk Gently's Holistic Detective Agency, review, sci-fi, TV, what is this I don't even by Tyler F.M. Edwards. Bookmark the permalink. Huh, I watched the premiere on BBC America and had the same initial reaction you did, then never gave it another shot. I guess I should try a couple more episodes and give it a chance. Yeah, it does turn into a pretty good show as long as you don’t compare it to the books too much. They’re really entirely different beasts. Most fans of science fiction books and television shows are at least aware of the contributions of such British notaries as Douglas Adams, famed author of the “Hitchhiker’s Guide” series, and the quality shows produced by the BBC network and BBC America. This past weekend saw the second season premier of “Dirk Gently,” based on some of Adams’ lesser known but equally memorable characters. Check it out, and don’t worry if the plot seems hard to follow-it will all make sense in the end.